A few years ago, when the sleepy fishing village of Peniche indeed owned perfect-wave-fame within Europe’s surf community, it was only a raw jewel. 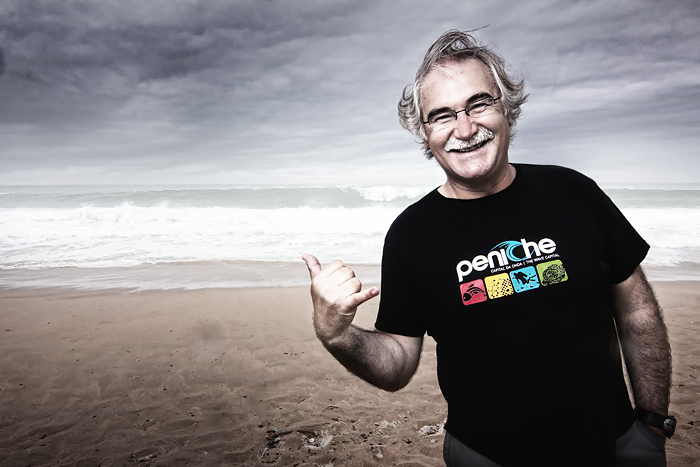 There was no imagination of Peniche entering the global surf industry machinery one day. But when surf industry’s major Rip Cur knocked on the mayor’s door, asking for an OK to host the popular “The Search” in his village in 2009, mayor Antonio Correia knew that this was the chance for a bright future of Peniche, which until then was better known as the biggest trading place for sardines in Portugal. That was in 2009. Since 2010 Peniche is hosting an ASP Pro Tour Contest and also this year the traditional fishing village will be on surfing media’s main stage again. Antonio, supported by the city council, converted Peniche into a forward thinking community focused on surfing: It’s (almost all) about the waves; the waves and a sustainable development of business. But there is also a well-established strategy of conservation. Keeping the waves around Peniche clean is one of the main goals and the overall strategy of Peniche – Capital of Wave. From a surfer’s perspective Antonio is the perfect example of a mayor: He supports the local surf community, puts a lot of effort into environmental conservation and applies strategies for a sustainable development of the region,which are crafted around tourism and surfing culture. The annual Peniche Pro Contest is the propaganda machine and the infamous wave Supertubos the machine’s spinning wheel to accomplish the towns ambitious plans. But also some harsh critique can be heard. Some say Antonio is too wave-focused. “He is just thinking about the wave”, “He is a very humble person, but he forgets about all the fishermen. He spends too much time out there at Supertubos”. Our short stay in Peniche didn’t put us in the position to judge whether the criticism is justified, but we do know one thing for sure: Saving a wave and understanding that the natural environment is of high value for all living organisms, inside and outside the sea, can’t be wrong.